The 2019 Assembly Election of Maharashtra are due to be held in Apr-May month of 2019 to constitute the 14th assembly of Maharashtra alongside the general election of India. 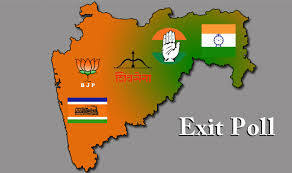 The incumbent Bharatiya Janta Party (BJP) with his alliance partner Shiv Sena will face the tough competition form the alliance of opposition parties Indian National Congress alongside Nationalist Congress Party(NCP) in this upcoming 2019 Maharashtra assembly election. The previous assembly election was held in Oct month of 2014 for the assembly of Maharashtra which was won by BJP under the leadership of the current CM Devendra Fadnavis by getting the 122 seats from the total of 288 seats. The First every election of Maharashtra assembly was held in the year of 1960.